Mobile phones have become an integral part of our lives, and most people would not consider even leaving the house without one. In fact, the World Health Organization (WHO) has estimated 6.9 billion mobile phone subscriptions globally. 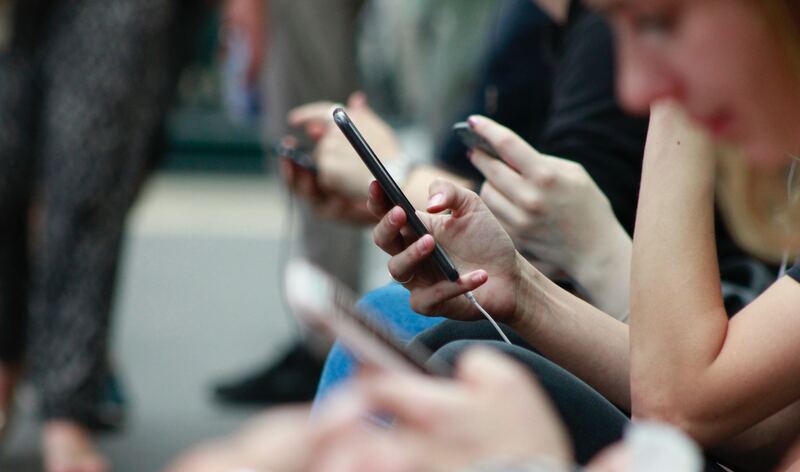 Given the vast number of mobile phone users and the heavy use of mobile phones, many have been questioning the potential health consequences of mobile phone use. This Daily Mail article, published on 11 March 2019, discusses a recurring concern in the news cycle: do mobile phones cause cancer in humans? The article goes a step further by raising concerns about any device which uses radiofrequency (RF; also called radiowave radiation) like Bluetooth, which essentially encompasses the most common forms of wireless technology, such as headphones and computer mice. To date, current scientific consensus is that there is little to no evidence that RF causes increased risk of cancer in humans. While experimental studies in animals have shown increased incidence of certain tumours such as heart schwannomas upon prolonged exposure to RF, their relevance to humans is in question, as discussed later in the article. However, in accordance with the precautionary principle, some scientists are petitioning the United Nations for stricter RF regulations with the aim of avoiding possible – but unproven – health risks such as brain tumours. The petition has garnered over 250 signatures to date. Why is RF considered safe? RF is part of the electromagnetic spectrum, which comprises different types of electromagnetic radiation (EMR), such as microwaves and X-rays. The amount of energy carried by each type of EMR is different and significantly changes its properties, such as its danger to human health. On the one hand, there are high-energy forms of EMR such as gamma rays and X-rays. Their high energy is capable of knocking electrons off atoms, which generates ions (hence why they are called ionising radiation). This alters the chemical properties of molecules such as DNA. Such alterations result in DNA damage, which is a precursor to cancer and is why ionising radiation is strongly carcinogenic (cancer-causing). The International Agency of Research on Cancer (IARC) has listed ionising radiation in Group 1, i.e. known carcinogen. On the other hand, the EMRs generated by mobile phones and Bluetooth devices (radio waves) possess less energy. These are called non-ionising radiation, since they do not have enough energy to remove electrons from atoms. Therefore, RF is not believed to be carcinogenic. However, findings from a few studies have linked mobile phone use with an increased risk of brain tumours, giving rise to current concerns. No biological mechanism explaining how this could happen has yet been proposed. To date, the only health hazard clearly associated with mobile phone use is the increased risk of traffic accidents owing to distracted driving[1,2]. What is the evidence for adverse health effects from RF exposure? Studies examining the relationship between cancer risk and mobile phone use have produced inconclusive results. The studies are also not consistent with each other, owing to flaws and differences in study methodology. Many of these studies were based on self reports, such as interviews and questionnaires, and are thus subject to problems such as recall bias and inaccurate reporting. Other issues, such as the different ways that mobile phone use is measured (call hours vs. phone subscription history) – and the inherent problems with each measurement – also complicate the comparison of results between different studies. The INTERPHONE study – involving 13 countries – is an international project examining the potential cancer-causing effects of mobile phone use, focusing on tumours of the central nervous system, owing to the head’s proximity to mobile phones. It was conducted by interviewing healthy people and patients with brain tumours (or their proxies, like family relatives). The study, which concluded in 2012, found – surprisingly – that reduced risk of meningioma and glioma (different types of brain tumours) were seen in regular mobile phone users compared to individuals who never used mobile phones. Only mobile phone users reporting the heaviest use (1640 hours or more of accumulated call time) showed an increased risk for these tumours. On the flip side, a study performed in Sweden, using questionnaires, found that there was increased risk of glioma with greater cumulative hours of mobile phone use and earlier use of mobile phones. A study in Japan, performed using questionnaires, found an increased risk of acoustic neuroma (a benign tumour, also called vestibular schwannoma) associated with mobile phone call time of more than 20 minutes a day, although the authors cautioned that detection and recall bias could have contributed to this result. INTERPHONE on the other hand did not show an increased risk for acoustic neuroma, except for mobile phone users reporting the heaviest use (1640 hours or more of accumulated call time). Cardis et al. performed a study examining brain tumour risk using some data from the INTERPHONE study. However, the authors took a different approach from INTERPHONE, studying the risk in relation to the estimated radiofrequency (RF) dose, as opposed to accumulated hours of call time. The authors explained that, “in principle, a measure of absorbed RF should be a more accurate indicator of RF exposure to neural tissue than just mobile phone use”. The study did find an increased risk for glioma and meningioma associated with a higher RF dose. A study conducted in Denmark determined duration of mobile phone use through phone subscriptions. Their findings showed no increased risk of brain tumours, even in users with the longest phone subscriptions (and presumably longest accumulated phone use time). So there are some indications that high exposure increases cancer risk, but not all studies agree with that observation. A meta-analysis of all relevant studies until 2011 has shown that overall no increased risk for brain cancer and other head tumors exists. There have also been experimental studies done in animals, with two in particular being notable for their comparatively large sample sizes and duration of RF exposure. In 1999, the US Food and Drug Administration nominated mobile phone RF for a study by the National Toxicology Program (NTP). This study was conducted on rats and mice in special chambers designed to control the amount of RF radiation the animals received. The animals received RF radiation for 9 hours everyday for 2 years. The results have not yet been published in a peer-reviewed journal, but the NTP reports show that male rats exposed to RF had a greater incidence of heart schwannomas (schwannomas involve the same type of cell involved in acoustic neuroma) as well as gliomas. Rats which did not receive RF did not have any schwannomas or gliomas. The study’s authors have stated that these tumours “are considered likely the result of whole-body exposures to […] RF radiation”. However, female rats did not show an increased occurrence of these heart schwannomas or gliomas. Physicians at the blog Science-Based Medicine have pointed out various problems in the study, such as its statistical analyses and the biological implausibility of the results. Because of the way the animals were housed, their exposure to RF was distributed more evenly across the entire body. As such, there is no biological reason why only the heart was affected when RF exposure was distributed across the whole body – Schwann cells (from which schwannomas come from) can be found all over the body. There is also no plausible reason why this effect was seen only in male rats, but not in female rats nor in male and female mice. The manner in which the animals were treated with RF – 9 hours every day for 2 years – also exceeds the pattern of the average person’s mobile phone use. These issues call into question the study’s relevance to mobile phone users. The second study was conducted in Italy at the Ramazzini Institute, in which rats were exposed to RF for 19 hours everyday, beginning from gestation up till death. This study also found increased occurrence of heart schwannomas in male rats, but not in female rats. This increase was only seen at the highest RF dose used. However, the highest dose in this study was more than 10 times lower than the lowest dose used in the NTP study. The results of these studies are therefore inconsistent. What do health authorities say? Radiofrequency (RF) from electronic devices has traditionally been regulated by local governmental agencies, such as the Federal Communications Commission in the US and the Australian Radiation Protection and Nuclear Safety Agency (ARPANSA). While ICNIRP has established guidelines for safe RF limits, in reality regulations vary from country to country. This has led the WHO to implement a process of harmonising standards worldwide, with 52 countries currently participating. The ICNIRP guidelines, established in 1998, are also currently under revision to take into account new data. In 2011, IARC convened a group of scientists to examine the possible association between radiofrequency and cancer risk. They examined a total of 6 epidemiological studies (including the INTERPHONE study) and more than 40 experimental studies in rodents. Other substances classified as Group 2B are aloe vera and pickled vegetables, among other chemicals. Therefore, this is not an indication of strong risk as compared to Group 1 (like ionising radiation). In summary, the evidence for a cause-and-effect relationship between mobile phone use and brain tumour risk is weak. Limitations of currently available studies, such as the methodological flaws, errors and bias, and the lack of reproducibility, mean that it is not possible to say with confidence that mobile phone use contributes to brain tumours. Therefore, the claim by the Daily Mail that wireless technology “could have disastrous effects for our health” and that animal studies “suggest a link to cancer” overstates scientific confidence and is unnecessarily alarmist. This article’s scientific accuracy has been reviewed by Professor Alexander Lerchl of Jacobs University. 1 – Krauer et al. (2014). Distracted Driving and Risk of Road Crashes among Novice and Experienced Drivers. New England Journal of Medicine. 2 – Gershon et al. (2019). Distracted Driving, Visual Inattention, and Crash Risk Among Teenage Drivers. American Journal of Preventive Medicine. 3 – Vrijheid et al. (2008). Recall bias in the assessment of exposure to mobile phones. Journal of Exposure Science and Environmental Epidemiology. 4 – INTERPHONE Study Group. (2010). Brain tumour risk in relation to mobile telephone use: results of the INTERPHONE international case–control study. International Journal of Epidemiology. 5 – Hardell et al. (2011). Pooled analysis of case-control studies on malignant brain tumours and the use of mobile and cordless phones including living and deceased subjects. International Journal of Oncology. 6 – Sato et al. (2010). A case–case study of mobile phone use and acoustic neuroma risk in Japan. Bioelectromagnetics. 7 – INTERPHONE Study Group. (2011). Acoustic neuroma risk in relation to mobile telephone use: Results of the INTERPHONE international case–control study. Cancer Epidemiology. 8 – Cardis et al. Risk of brain tumours in relation to estimated RF dose from mobile phones: results from five Interphone countries. Occupational and Environmental Medicine. 9 – Frei et al. (2011). Use of mobile phones and risk of brain tumours: update of Danish cohort study. British Medical Journal. 10 – Repacholi et al. (2012). Systematic review of wireless phone use and brain cancer and other head tumors. Bioelectromagnetics. 11 – Wyde et al. (2018). Report of Partial findings from the National Toxicology Program Carcinogenesis Studies of Cell Phone Radiofrequency Radiation in Hsd: Sprague Dawley® SD rats (Whole Body Exposure). BioRxiv 055699 [Preprint] May 26, 2016 (modified Feb 01, 2018). 12 – Falcioni et al. (2018). Report of final results regarding brain and heart tumors in Sprague-Dawley rats exposed from prenatal life until natural death to mobile phone radiofrequency field representative of a 1.8 GHz GSM base station environmental emission. Environmental Research. 13 – International Commission on Non-Ionizing Radiation Protection. (1998). Guidelines for Limiting Exposure to Time-Varying Electric, Magnetic, and Electromagnetic Fields (up to 300 GHz). Health Physics. 14 – Baan et al. (2011). Carcinogenicity of radiofrequency electromagnetic fields. The Lancet Oncology. # – The IARC defines “inadequate” and “limited evidence of carcinogenicity” here.